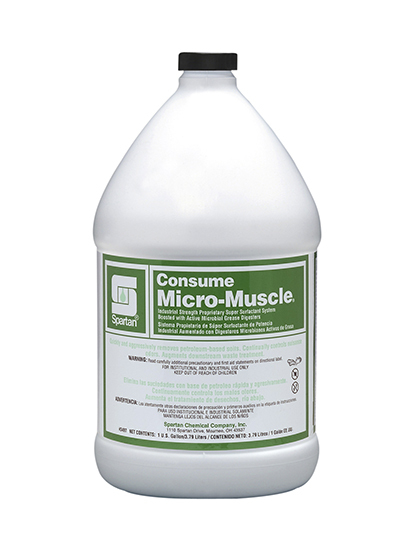 An industrial strength degreaser with odor control, Micro-Muscle quickly penetrates and digests petroleum-based soils such as: motor oil, hydraulic fluid, stamping oils, and lubricants. With residual organic digesters for ongoing odor control, Micro-Muscle helps degrade petroleum soils found in waste treatment systems. Use in manufacturing, print shops, repair shops, loading docks, and mass transit systems.